Oregon State Ecampus will provide financial assistance to currently serving military members who entered the service while they were residents of Oregon and who are using military tuition assistance to help pay for their online classes. 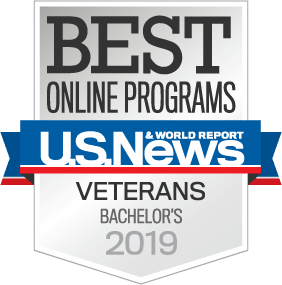 The assistance OSU Ecampus provides will allow service members to take up to 4 credits per term, at the undergraduate or graduate level, at no additional cost above what the military tuition assistance program will pay. This award is in addition to your other military education benefits. This program is currently available only to service members who joined the United States military while a resident of Oregon and are currently serving on active duty or as a member of the National Guard or Reserves. OSU's Office of Military and Veteran Resources will determine which students are eligible based on the stated criteria. The tuition award will be provided to eligible students in the form of a voucher through OSU’s Office of Financial Aid and Scholarships, and it is not needs-based. There is no need to apply. Eligible students will be notified that they are receiving the tuition assistance. Each service member will have a maximum benefit of 4 credits per term for a total possible benefit of 16 credits per academic year. Tuition differentials will be added to the award calculations. There is an established funding limit for the program. If that funding limit is met, you will be notified and no more awards will be granted for this academic year. Please contact Joan Oakes at 541-737-4166 or joan.oakes@oregonstate.edu if you have any questions.